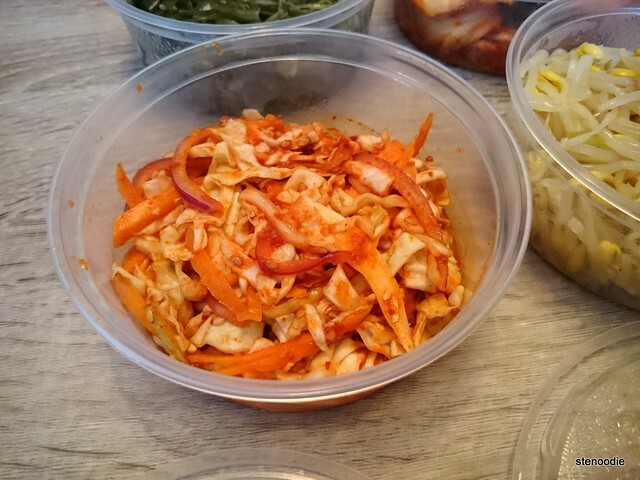 Mark of Delucio (with an emphasis on the “luci”), a Korean side-dish delivery business based in Toronto, contacted me last week about providing me with some complimentary Korean side dishes to try and to share his mother’s story. 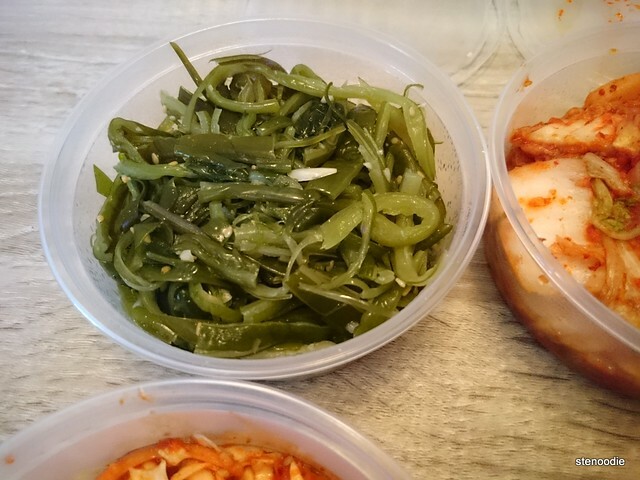 Mark and Lucy strive to help locals eat more vegetables in their diet by providing fresh, preservative-free, and tasty Korean staple side dishes (or banchan) that are conveniently made for delivery for enjoyment at home. This son and mother team also started this business venture so that they can help decrease Lucy’s 12 hour work shifts as a chef every day so that she retire from work. 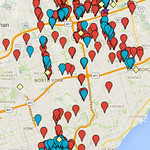 They currently provide free delivery to homes in Toronto (including Richmond Hill and Markham) whenever you order online. They only deliver on Thursdays from 7-11 p.m. as that is the only day that Lucy doesn’t work and has time for this side venture. 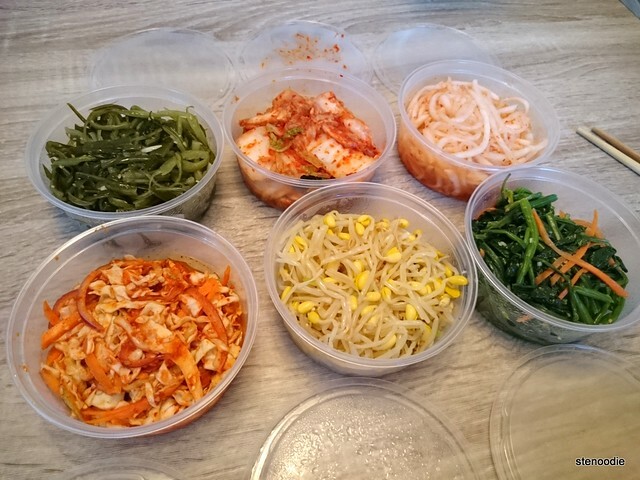 The Korean side dishes are available in a 6-pack and can include Kimchi, Radish, Coleslaw, Bean Sprout, Seaweed Stem, Spinach, French Bean, or Yellow Bean. You can get the 6-pack in 16 oz containers for $25 or the Mini 6-pack in 8 oz containers for $17. 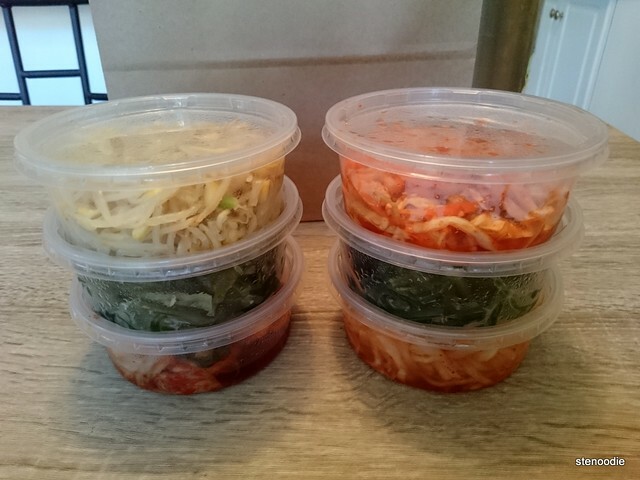 My sample included the Mini 6-pack of Kimchi, Radish, Coleslaw, Bean Sprout, Seaweed Stem and Spinach. I am a big fan of supporting local businesses and also love trying cooking from other people, so I was very excited about the samples. Mark was able to deliver the package to my home. I placed the samples into my fridge and tried them the very next day. 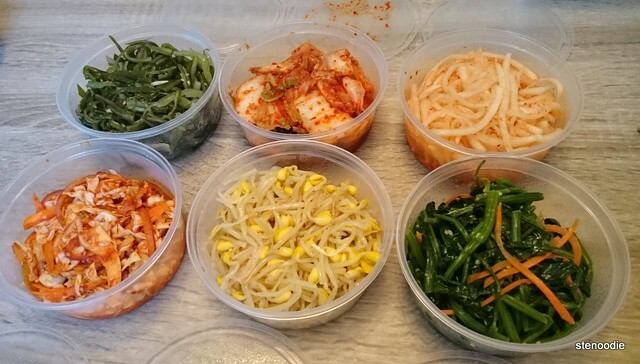 The size of the 8 oz containers actually fit in quite a lot of side dishes! There were more than enough for me to try over two days with my mom. Even better on the second day! 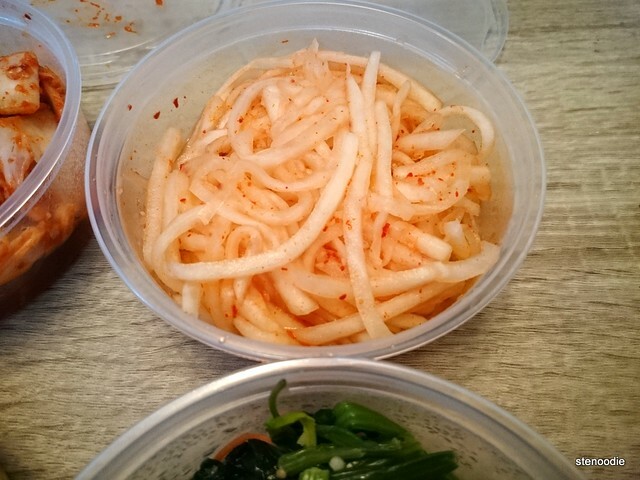 When first opening the lids of each side dish to sample, I did find that the taste was a little bland. 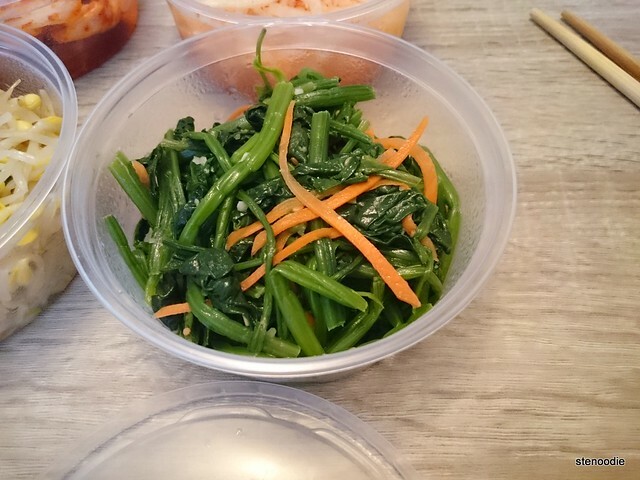 However, after a few more minutes, the taste of the side dish started coming to life and I found myself really enjoying the spinach, kimchi, seaweed stem, and bean sprout. 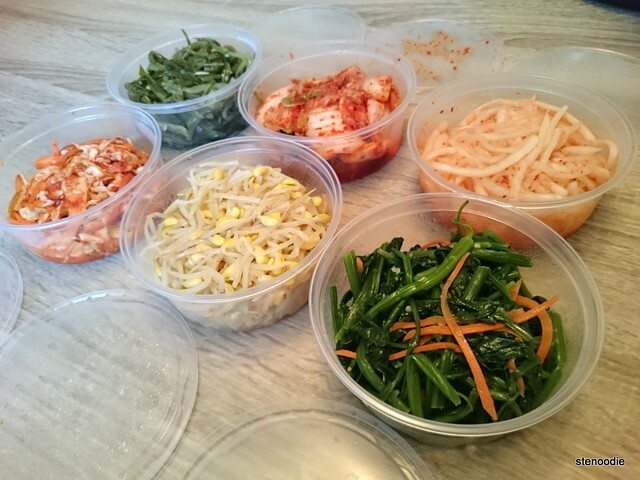 I found myself loving the side dishes even more two days after placing it in the fridge; perhaps because the side dishes are made fresh, placing them more than a day in the fridge solidifies the taste. 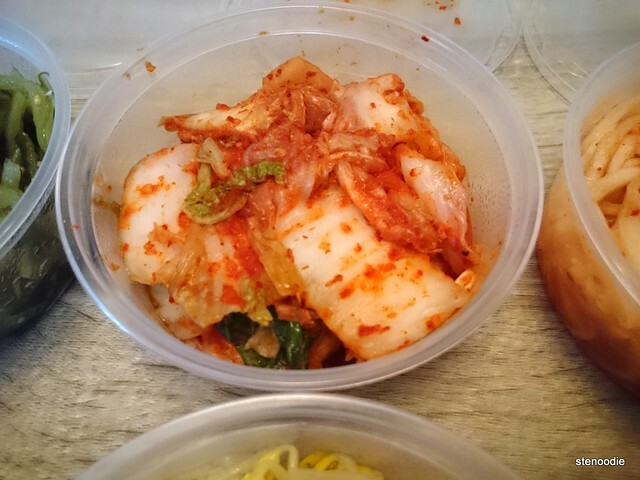 The kimchi was very well made and flavoured just right. 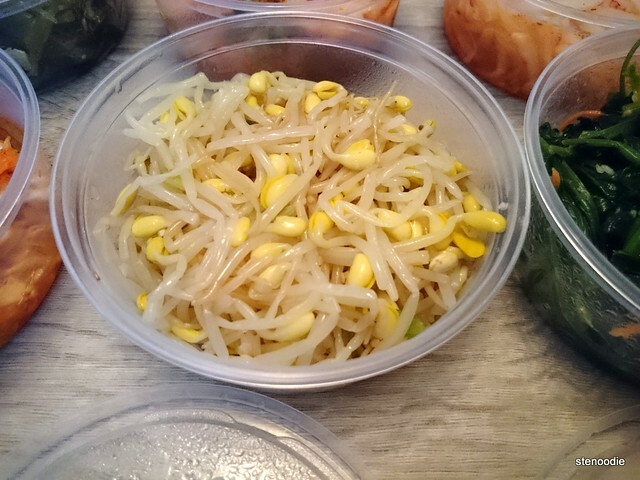 I loved how crunchy the bean sprouts were. The seaweed stem was chewy yet firm. The spinach was also firm but nicely flavoured. The radish was very crunchy and fresh with a light hint spice. 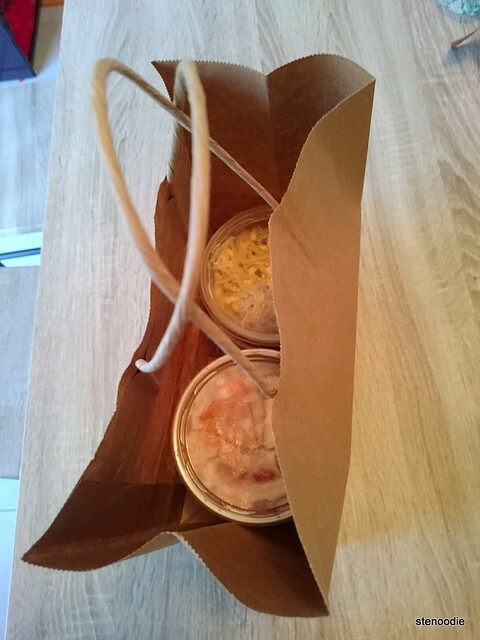 The coleslaw was the most spicy for me and the one that I didn’t like as much. 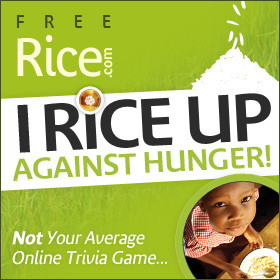 It would have gone really well with rice, however! They all tasted very authentically Korean! I really like the concept of Mark and Lucy’s Delucious business; it’s smart that they incorporated her name into the business too! How very thoughtful and sweet. Thank you again, Mark and Lucy, for letting me try your dishes out! I wish you the best of luck! FTC Disclaimer: Although Delucious reached out and provided me with a complimentary tasting to review their food, the opinions expressed here represent my own and not those of the business. This entry was posted in Complimentary Adventures, Food and tagged bean sprout, coleslaw, complimentary, delivery, Delucious, family business, home delivery, how to increase vegetable intake, kimchi, Korean, Korean side-dish delivery, local, Mark & Lucy, no preservatives, promotional, radish, seaweed stem, spinach, Toronto, www.delucious.ca. Bookmark the permalink.